Walkerswood ソロモン グランディ このスパイシーな燻製ニシンのペーストは、ジャマイカの伝統的な食べ物です。クラッカー、パンに合うのはもちろん、ヤム芋(サツマイモに似た芋)やジャガイモにもばっちりです。また、パスタや麺類、さらにはシーフード料理の付け足しの調味料として使えます。この味の美味しさが口の中に広がり、至福(Irie)を感じるでしょう。 是非、今日から最高の前菜として、クラッカーと一緒にお試し下さい。 Walkerswood Solomon Gundy This spicy smoked herring paste is a Jamaican classic. The perfect condiment for crackers , bread or foods such as yam and potatoes. It can also be used to add flavor to pasta and other noodles as well as seafood dishes. The taste will stimulate your taste buds and leave you feeling Irie. Try it today with crackers for the perfect appetizer. 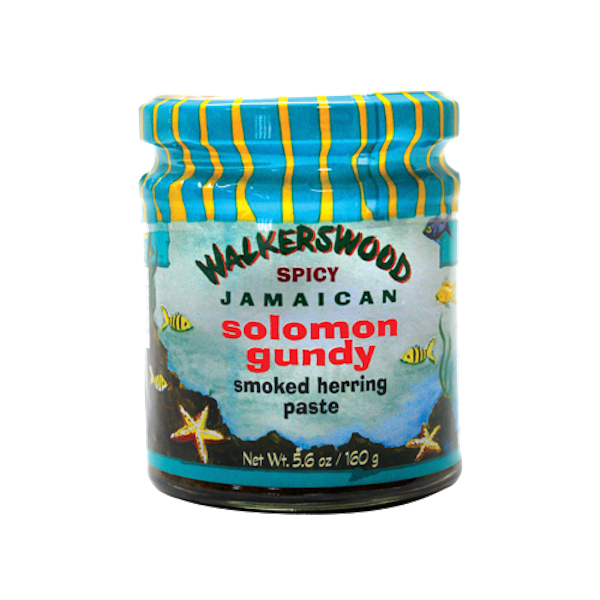 This spicy smoked herring paste is a Jamaican classic. The perfect condiment for crackers , bread or foods such as yam and potatoes. It can also be used to add flavor to pasta and other noodles as well as seafood dishes. The taste will stimulate your taste buds and leave you feeling Irie. Try it today with crackers for the perfect appetizer.